Our 96 standard units, classified 3 stars by Hébergement Québec, have air conditioned, color cable TV with remote control, coffee brewers and all units have a refrigerator. 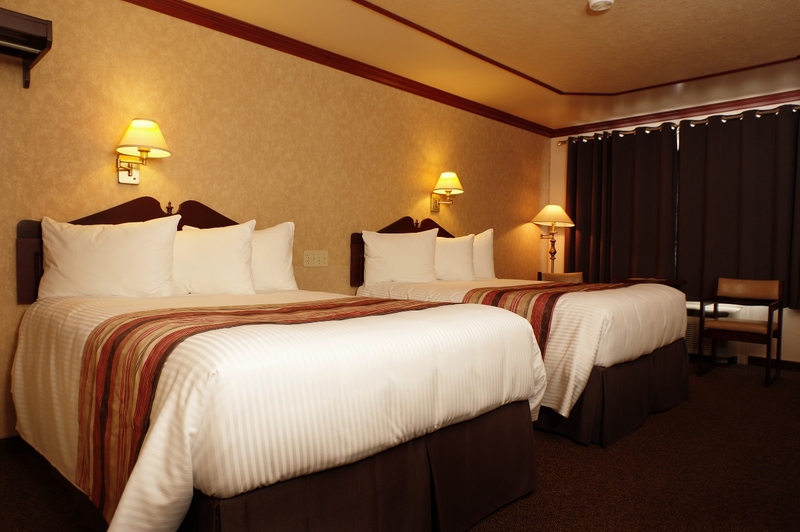 All of our motel units are non-smoking and we have a few units with accessibility for persons with reduced mobility. Room with Free Wi-Fi and parking. This non-smoking, air conditioned two double beds room which include: color cable TV , coffee brewers, hair dryers and refrigerator. Also free wireless high speed Internet. Cancellation Policy : Cancellation policy : You have until 5 o'clock the day of arrival to cancel your reservation. You will be charge if you don't have a cancellation number that we gave you when you cancelled.